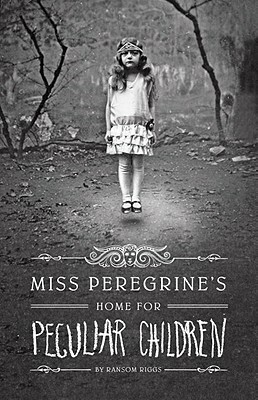 Over at Quirk Books, they’ve posted the first three chapters of Ransom Riggs’ debut novel Miss Peregrine’s Home for Peculiar Children, and it got me to thinking: how often do free samples or teasers influence your decision to buy a book? For my part, my decision to buy books is usually influenced by what I’ve heard about the author or the book itself, i.e. reviews or chatter on the blogosphere. Most of the time, that’s enough for me to decide to buy the book, without reading a single word of it. I guess I’m not a browser — if I walk into a bookstore, it’s to make a purchase, not see what strikes my fancy. But that’s me. How do you find the next book you want to buy? Are you influenced by teasers? Sing out in the comments. I LOVE the free samples available on my e-reader, through Barnes and Noble. Others…. I haven't read any. I don't like to read long things on my computer and transferring the free sample to my e-reader seems like a lot of effort for a sample. I'm definitely not a browser. I almost always have to get a solid recommendation from someone I trust to pick up a book, and even then, I usually just order it from the library. Then, if I really, really like it, I'll buy my own copy. But when I've heard really awesome buzz about something, I occasionally go out on a limb and actually buy a book I've never read before. And sometimes I strike gold. The best book purchase I've made in the last year, for instance, was ANNA AND THE FRENCH KISS. Easily:) Thanks for the recommendation, Kate! Usually buzz will get me to buy a book, or knowing the author online. Sometimes I will just pick up something that looks pretty in a bookstore, but that's rarer these days. I buy based on buzz b/c I had to have heard of it somewhere. And then I download a bunch of samples from amazon to my ereader. I've definitely made choices to buy or not to buy based on the first chapter and the voice. I can usually tell if it's something I'd like. I look into books based on the buzz, but I usually will only buy/download on my Nook when the sample chapters are as good as the hype. Oh, and I loved Anna and the French Kiss, too! Hope it's not too late to chime in here. I usually hear about a book through buzz, but whether I've browsed across it (usually on Amazon) or gone looking for it on purpose, I won't be buying it without an inside look. Other people's taste are just a starting point, and too often my taste differs. I love me my sample chapters–far and away the most effective way to sell a book!